It is a bit complex design with 3 parts slicing style. That happens to become a wonderful feature of the computer desk we'd like to share today. Crafted from high-class stalinite material, it is more durable to use for long time. It is built with a pull drawer for placing keyboard for convenient game playing. 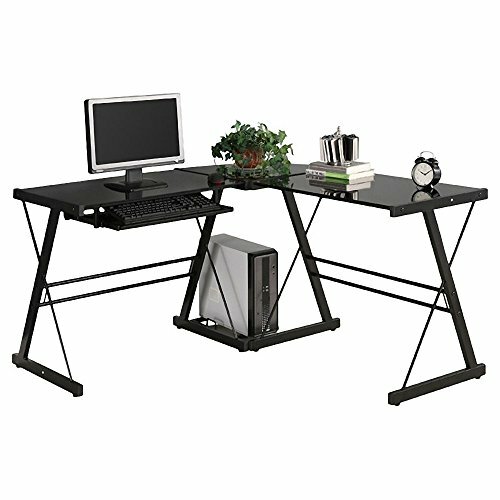 This computer desk, with L shape, has spacious room for gadget accommodation. Wow, it must be your favorable choice! Come and try our L-Shaped Durable Stalinite Splicing Computer Desk 402C! 5. Widely used for teachers, students or businessmen etc. Widely used for teachers, students or businessmen etc. View More In Computer Tables. If you have any questions about this product by Thegood88, contact us by completing and submitting the form below. If you are looking for a specif part number, please include it with your message.